References m_iHeightID, m_iWidthID, m_wAspectCheck, m_wHeightEntry, m_wHeightSpin, m_wrbInLine, m_wrbNone, m_wrbSquareWrap, m_wrbTightWrap, m_wrbWrappedBoth, m_wrbWrappedLeft, m_wrbWrappedRight, m_wWidthEntry, m_wWidthSpin, s_aspect_clicked(), s_HeightEntry_changed(), s_HeightEntry_FocusOut(), s_HeightSpin_changed(), s_WidthEntry_changed(), s_WidthEntry_FocusOut(), s_WidthSpin_changed(), and s_wrapping_changed(). References _connectSignals(), abiDialogSetTitle(), XAP_Dialog_Image::getDescription(), XAP_Dialog_Image::getPreserveAspect(), XAP_App::getStringSet(), XAP_Dialog_Image::getTitle(), XAP_StringSet::getValueUTF8(), localizeButton(), localizeLabel(), localizeLabelMarkup(), m_bAspect, m_iHeight, m_iWidth, m_oHeightSpin_adj, m_oWidthSpin_adj, XAP_Dialog::m_pApp, m_wAspectCheck, m_wDescriptionEntry, m_wHeightEntry, m_wHeightSpin, m_wrbInLine, m_wrbNone, m_wrbPlaceColumn, m_wrbPlacePage, m_wrbPlaceParagraph, m_wrbSquareWrap, m_wrbTightWrap, m_wrbWrappedBoth, m_wrbWrappedLeft, m_wrbWrappedRight, m_wTitleEntry, m_wWidthEntry, m_wWidthSpin, mMainWindow, newDialogBuilder(), and s.
Referenced by doWidthEntry(), and doWidthSpin(). Referenced by doHeightEntry(), and doHeightSpin(). References m_bAspect, m_dHeightWidth, m_wAspectCheck, and XAP_Dialog_Image::setPreserveAspect(). References adjustWidthForAspect(), DIM_none, XAP_Dialog_Image::getHeightString(), m_iHeightID, m_wHeightEntry, XAP_Dialog_Image::setHeight(), and UT_determineDimension(). Referenced by s_HeightEntry_changed(), and s_HeightEntry_FocusOut(). References adjustWidthForAspect(), XAP_Dialog_Image::getHeightString(), XAP_Dialog_Image::incrementHeight(), m_iHeight, m_wHeightEntry, and m_wHeightSpin. References adjustHeightForAspect(), DIM_none, XAP_Dialog_Image::getWidthString(), m_iWidthID, m_wWidthEntry, XAP_Dialog_Image::setWidth(), and UT_determineDimension(). Referenced by s_WidthEntry_changed(), and s_WidthEntry_FocusOut(). References adjustHeightForAspect(), XAP_Dialog_Image::getWidthString(), XAP_Dialog_Image::incrementWidth(), m_iWidth, m_wWidthEntry, and m_wWidthSpin. References XAP_Dialog_Image::a_OK, m_wDescriptionEntry, m_wrbInLine, m_wrbNone, m_wrbPlaceColumn, m_wrbPlacePage, m_wrbPlaceParagraph, m_wrbTightWrap, m_wrbWrappedBoth, m_wrbWrappedLeft, m_wrbWrappedRight, m_wTitleEntry, POSITION_TO_COLUMN, POSITION_TO_PAGE, POSITION_TO_PARAGRAPH, XAP_Dialog_Image::setAnswer(), XAP_Dialog_Image::setDescription(), XAP_Dialog_Image::setPositionTo(), XAP_Dialog_Image::setTightWrap(), XAP_Dialog_Image::setTitle(), XAP_Dialog_Image::setWrapping(), WRAP_INLINE, WRAP_NONE, WRAP_TEXTBOTH, WRAP_TEXTLEFT, and WRAP_TEXTRIGHT. References _constructWindow(), abiDestroyWidget(), abiRunModalDialog(), BUTTON_CANCEL, event_Cancel(), event_Ok(), XAP_Dialog_Image::getHeightString(), XAP_Dialog_Image::getWidthString(), m_dHeightWidth, m_wAspectCheck, setHeightEntry(), setPositionToGUI(), setWidthEntry(), setWrappingGUI(), UT_convertToInches(), UT_return_if_fail, and wrappingChanged(). References doHeightEntry(), UT_ASSERT, and UT_SHOULD_NOT_HAPPEN. References doWidthEntry(), UT_ASSERT, and UT_SHOULD_NOT_HAPPEN. References XAP_Dialog_Image::getHeightString(), m_iHeightID, and m_wHeightEntry. Referenced by adjustHeightForAspect(), and runModal(). References XAP_Dialog_Image::getPositionTo(), XAP_Dialog_Image::isInHdrFtr(), m_wrbPlaceColumn, m_wrbPlacePage, m_wrbPlaceParagraph, POSITION_TO_COLUMN, POSITION_TO_PAGE, and POSITION_TO_PARAGRAPH. 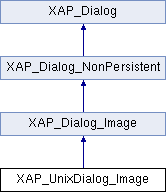 References XAP_Dialog_Image::getWidthString(), m_iWidthID, and m_wWidthEntry. Referenced by adjustWidthForAspect(), and runModal(). References XAP_Dialog_Image::getWrapping(), XAP_Dialog_Image::isInHdrFtr(), XAP_Dialog_Image::isTightWrap(), m_wrbInLine, m_wrbNone, m_wrbSquareWrap, m_wrbTightWrap, m_wrbWrappedBoth, m_wrbWrappedLeft, m_wrbWrappedRight, WRAP_INLINE, WRAP_NONE, WRAP_TEXTBOTH, WRAP_TEXTLEFT, and WRAP_TEXTRIGHT. References m_wrbInLine, m_wrbPlaceColumn, m_wrbPlacePage, m_wrbPlaceParagraph, m_wrbSquareWrap, and m_wrbTightWrap. Referenced by runModal(), and s_wrapping_changed(). Referenced by _constructWindow(), adjustHeightForAspect(), adjustWidthForAspect(), and aspectCheckbox(). Referenced by aspectCheckbox(), and runModal(). Referenced by _constructWindow(), and doHeightSpin(). Referenced by _connectSignals(), doHeightEntry(), and setHeightEntry(). Referenced by _constructWindow(), and doWidthSpin(). Referenced by _connectSignals(), doWidthEntry(), and setWidthEntry(). Referenced by _connectSignals(), _constructWindow(), aspectCheckbox(), and runModal(). Referenced by _connectSignals(), _constructWindow(), doHeightEntry(), doHeightSpin(), and setHeightEntry(). Referenced by _connectSignals(), _constructWindow(), and doHeightSpin(). Referenced by _connectSignals(), _constructWindow(), event_Ok(), setWrappingGUI(), and wrappingChanged(). Referenced by _connectSignals(), _constructWindow(), event_Ok(), and setWrappingGUI(). Referenced by _constructWindow(), event_Ok(), setPositionToGUI(), and wrappingChanged(). Referenced by _connectSignals(), _constructWindow(), setWrappingGUI(), and wrappingChanged(). Referenced by _connectSignals(), _constructWindow(), doWidthEntry(), doWidthSpin(), and setWidthEntry(). Referenced by _connectSignals(), _constructWindow(), and doWidthSpin().